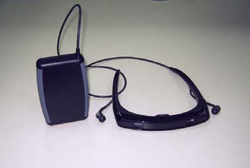 MediGait LLC combines virtual reality programming and real-time motion detection into a cell-phone sized device that helps PD patients regain their natural ability to walk normally. This device helps PD patients by jump-starting a process that induces a neuroplastic brain response. This means the patient's brain literally rewires itself using healthy circuits bypassing diseased areas sometimes in as little as two weeks. Gait velocity and stride length were improved in PD patients after training with a marked residual effect. Devices utilizing closed-loop visual feedback system are desirable non-pharmacologic interventions to improve walking in PD. Based on concepts formulated while working on a NASA project which improved the ability of pilots to navigate low-flying helicopters around tall objects, Professor Yoram Baram, CEO of Medigait LLC, made a serendipitous breakthrough for Parkinson's disease (PD) patients. 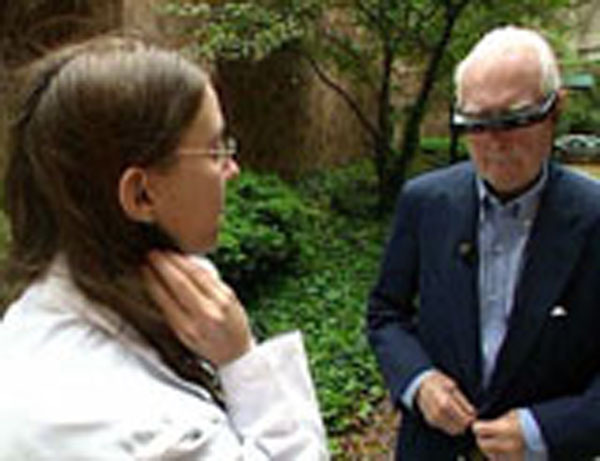 Using his breakthrough discovery, Professor Baram invented a high-tech virtual reality device called the GaitAid Virtual Walker. Medigait is re-introducing the GaitAid Virtual Walker to the market after locating a reliable high quality US-based medical device company to manufacture it for them. This cellphone-sized device helps patients with PD and other movement disorders greatly improve their stability while walking through a process called neuroplasticity. This process essentially rewires the patient's brain by creating new healthy circuits to bypass disease-damaged areas that once controlled the patients walking. Clinical studies have shown major improvements to walking speed and stride length in 70% to 85% of PD patients after only two weeks of 30-minute practice sessions. According to Itay Kavaler, his 68 year-old father and ten year PD patient once again walks like a healthy person. He states his father's walking began improving immediately with his first use of the GaitAid Virtual Walker. As Parkinson's disease progresses, gait impairment can become more pronounced and often turns dangerous. 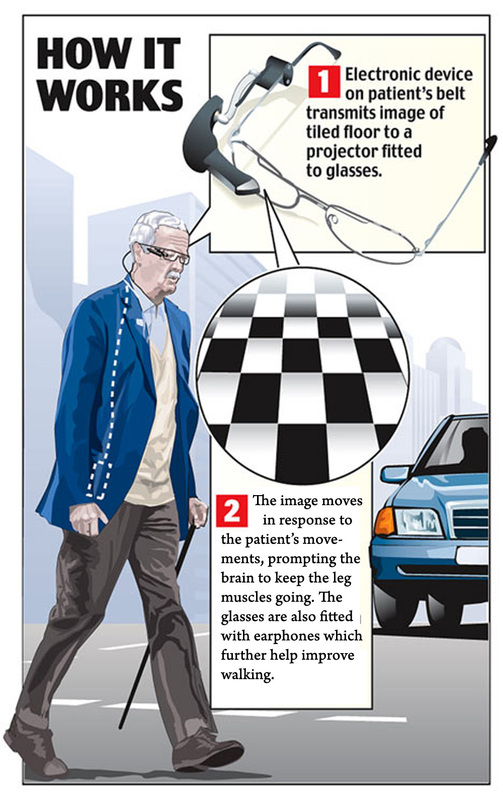 Characterized by shuffled walking, freezing, loss of balance, and falling down, Parkinson's patients suffer increasing frustration as their condition worsens. Because many PD patients are in their 60s and older, the consequences of falling can turn deadly. In fact, one of the more tragic causes of death in PD patients isn't even from the disease itself. Instead, it's from pneumonia resulting from being bedridden by broken hips and other problems relating to injuries due to falling while walking.
" Gait velocity and stride length were improved in PD patients after training with a marked residual effect. Devices utilizing closed-loop visual feedback system are desirable non-pharmacologic interventions to improve walking in PD." MediGait was founded by Yoram Baram, who received his PhD from MIT and is a Professor of Computer Science and incumbent of the Roy Matas / Winnipeg Chair in Biomedical Engineering at the Technion, Israel Institute of Technology. The idea for this project was sparked 12 years ago while Professor Baram was designing a mechanism for NASA to navigate low-flying helicopters around obstacles. The concept of the design, which Baram later applied to the medical device, is that the optical images of objects help the observer navigate, stabilize and pace movement in space. The Technion-Israel Institute of Technology is Israel's leading science and technology university. Home to the winners of the Nobel Prize, it commands a worldwide reputation for its pioneering work in nanotechnology, electrical engineering, computer science, biotechnology, water-resource management, materials engineering, aerospace and medicine. The majority of the founders and managers of Israel's high-tech companies are alumni.